Highs Monday afternoon may match the record high of 96, set back in 1957. Extreme heat hit the area Monday and now severe thunderstorms are moving in. NBC10 First Alert Weather meteorologist Glenn Schwartz has the forecast. 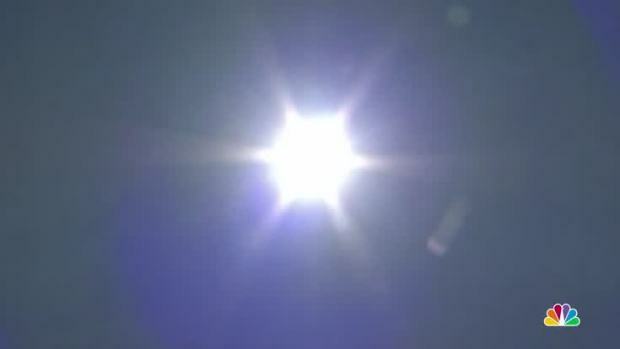 A First Alert is in effect until 9 p.m. Monday for excessive heat for most neighborhoods. We’re in for the hottest day of the summer season so far, and humidity will be noticeably higher too. Afternoon readings will warm to near the record high of 96, set back in 1957. Monday’s additional humidity will make afternoon temperatures feel like they’re in the upper 90s to 100 degrees. Isolated thunderstorms are possible in the afternoon and evening, mainly from north and west of Philadelphia. Air quality will decrease as the temperatures rise and may become unhealthy for sensitive groups. Sensitive groups include children and adults with suffering from asthma, heart disease or other lung diseases. The effects of air pollution can be minimized by avoiding strenuous activity or exercise outdoors. Be sure to wear sunscreen, drink plenty of water and avoid extended time outside, if possible. With summer here, it's important to know the dangers of high temperatures. Heat stroke can be dangerous. Here are some ways you can identify heat stroke and what you should do when you see some of its symptoms. 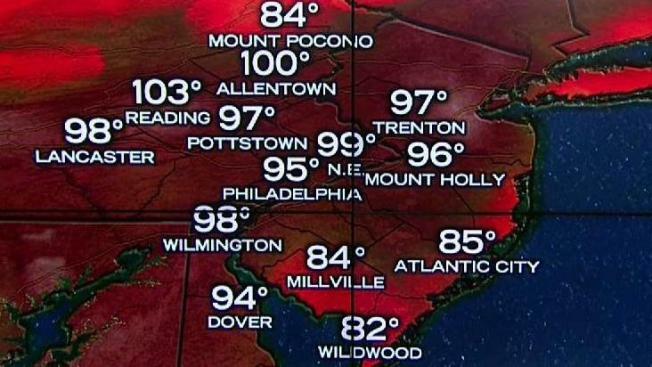 Schools in the Camden City school district will close at 1 p.m. Monday due to the heat. Another hot day Tuesday, near 90 degrees. However, humidity levels will drop during the day. Scattered thunderstorms are possible Tuesday afternoon, mainly across South Jersey into Delaware. Stay with NBC10.com for the latest weather updates.